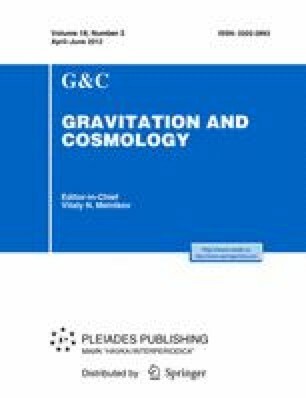 An extension of general relativity to non-Riemannian geometries suitable for description of the space-time geometry leads to integral dynamic equations which are valid for continuous and discrete space-times. The gravitational field of a homogeneous heavy non-rotating sphere is calculated inside the sphere. The space-time geometry appears to be non-Riemannian. In the case where the gravitational radius of the sphere is of the order of its own radius, an induced antigravity appears inside the sphere. In other words, the gravitational force inside the sphere appears to be directed from the center. The antigravity resists to a collapse of the sphere and to black hole formation.